Michael and Margie Baldwin founded the Marion Institute in 1993 and they are also co-founders of the store How on Earth in Mattapoisett, MA. Their vision, energy, determination and tireless dedication to the programs and goals at BMN are an inspirations to us all. The Baldwins learned about the Paracelsus Clinic and Dr. Rau during a search to find help for their son Nathaniel, who was being treated for leukemia. In 1993, when he was about to turn thirteen Nathaniel was diagnosed with cancer. He underwent three rounds of chemotherapy, followed by a bone-marrow transplant from his sister, Lena. When he developed complications from the transplant that reduced his lung capacity to 50%, the Baldwins began to search for ways to reverse the loss and rebuild Nathaniel’s immune system. They read about the Paracelsus Clinic in a magazine article, and after much research, became convinced it could improve the loss of Nathaniel’s lung function that was declared permanent by his physicians at home. They spoke with Dr. Rau and decided that when Nathaniel was well enough, they would travel to Switzerland and visit the clinic. On that visit and three subsequent visits, they experienced an intense immersion into the Paracelsus Biological Medicine model. Since that initial visit, Nathaniel has graduated from college and lives a normal, healthy, active life with an astonishing 97% lung capacity. He continues to have annual check-ups at the Paracelsus Clinic with Dr. Rau. For a more in-depth look at the Baldwin’s story see the PBS Body and Soul Series: “Healing Places”. The Baldwins realized that they were privileged participants in an exciting “new” medical paradigm. Moreover, they recognized that the Medical Director of the clinic, Dr. Thomas Rau was not only a brilliant physician, but also an accomplished scientist, researcher, teacher, healer and medical visionary who had much to offer patients and practitioners in North America. What began as a personal journey became a comprehensive program to make Biological Medicine much more available in North America through the creation of BMN. Thomas Rau, M.D. attended medical school at Berne University and also passed the final medical examinations in the USA. He has worked as a hospital physician in rheumatology, in the areas of internal and general medicine. From 1981 to 1992, Dr. Rau was the Medical Director of a Swiss clinic for rheumatology and rehabilitative medicine. He then trained in homeopathy and many natural therapies. Since 1992, Dr. Rau has served as Medical Director and part owner of the Paracelsus Clinic, Center for Biological Medicine and Dentistry in Lustmuhle, Switzerland. A first of its kind in Switzerland, the Paracelsus Clinic is widely recognized as a center of excellence for natural medicine, with a dynamic team of eighty highly committed people, including eight doctors, five dentists, natural health practitioners, nurses and other staff. Absolutely unique to Paracelsus is the integration of a Biological Dentistry practice and an on-site dental clinic. Dr. Rau is a respected international lecturer whose articles are widely published and much sought after. 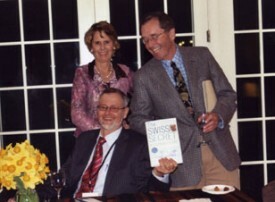 His book of collected papers was published in 2003. His first book written for the consumer was published in April 2007. Entitled The Swiss Secret to Optimum Health: Dr Rau’s Diet for Whole Body Healing, it contains explanations of the theories and practices behind biological medicine as well as a detailed dietary plan for detoxification and eating well. Dr. Rau is the Founder and President of the Swiss Homotoxicological and Regulative Therapy Society and a Board Member of the International Society of Milieu Therapy, Isopathy and Enderlein Medicine. He is considered a leading expert in Enderlein Therapy, Darkfield Microscopy and biologic tumor treatments. 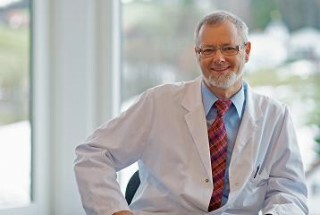 Dr. Rau is also Co-Founder of the Biological Medicine Network in North America.